If you want to buy a quality mattress from a company that gives back and is dedicated to using the best quality materials, consider buying a Leesa mattress. You can even buy this option in a brick and mortar store if you’re hesitant about buying something online. To find out if this is the best mattress for you, read our full Leesa mattress review. To start our Leesa mattress review, you should know a little bit about the company. Headquartered in Virginia Beach, Virginia, Leesa mattress was founded in 2014 and is an online boxed mattress retailer. Leesa mattress offers the comfort and support you need to be able to sleep better. The company boasts about the unique combination of foam layers to deliver maximum comfort and great sleep. The company not only focuses on the quality of its American-made mattresses but also on giving back. Its social impact program donates one mattress for every ten sold. To date, Leesa has donated over 30,000 mattresses to 1,000 non-profits and counting. Leesa offers two mattress options, the Leesa mattress and the Sapira mattress. The Leesa is a foam mattress that adjusts to your body and helps prevent joint pains. The Sapira is a hybrid mattress combining the original Leesa foam technology with spring coils for added support. There are positive Leesa mattress reviews for both kinds of mattresses. In addition to its social impact program, Leesa has one other key differentiation from other online mattress programs: in-store trials. 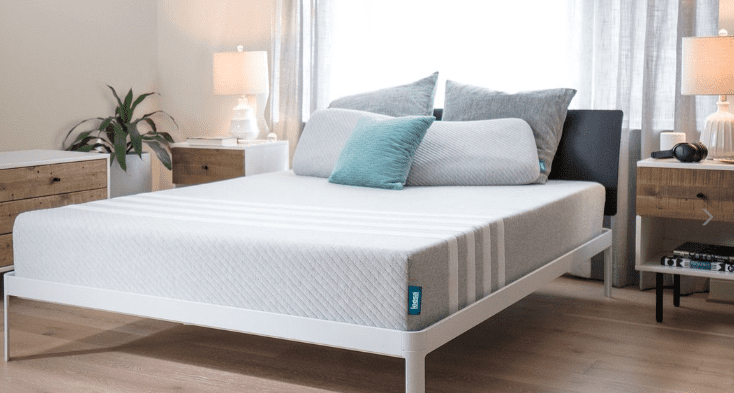 The company has two brick-and-mortar showrooms, one in New York and one in Virginia Beach, where customers are welcome to come in and try the mattresses. It also has partnerships with Pottery Barn and West Elm, where people are also invited to test out the mattresses in a store. If you’re uncomfortable buying online or want to see something in person first after you read Leesa mattress reviews, Leesa may be a great option for you. Brick and Mortar partnership: Leesa partners with furniture store West Elm. This means that West Elm’s bedframes are fitted with Leesa mattresses so you can go in and try out a mattress in person in one of West Elm’s 88 stores! Charity component: Leesa will donate one mattress for every ten sold. This helps many people feel good about themselves for taking care of their own needs and supporting a company that gives back. 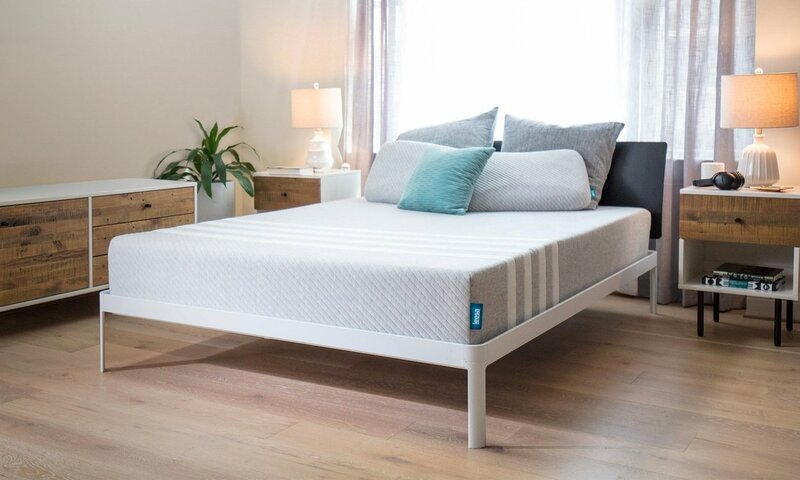 Cool technology: Both the hybrid and foam mattress sleep cool thanks to the top 1.5″ Avena foam layer. If you get hot at night, a cool mattress can make a big difference. Free shipping: Leesa mattresses ship for free (and return for free) anywhere in the U.S. and Canada. Generous warranty: Leesa offers a 10-year warranty on its mattresses. This means that within the first 10 years of owning your Leesa mattress, the company will repair or replace your mattress free of charge. Lightweight mattress: Mattresses are relatively light and easy to move. If you’re going to move soon, a lightweight mattress can be a big difference. Perfect for couples: Strong motion isolation means that when your partner tosses and turns, you won’t! 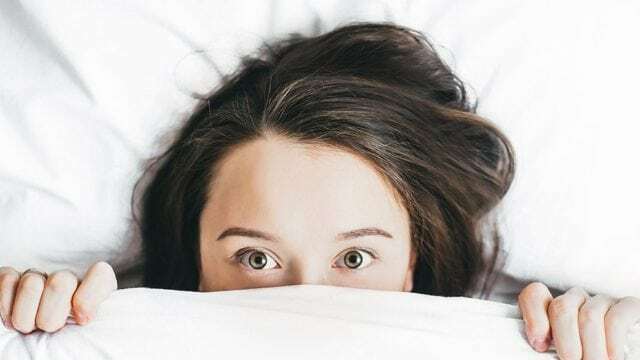 Sleep trial: The 120-night sleep trial means that you can test the mattress for nearly four months before making the decision to keep it or try another. Should you decide to go with another mattress, you can send your Leesa mattress back for free and get a full refund. This is helpful if you’ve read a lot of Leesa mattress reviews and feel good about it, but you still want to make sure the reviews hold true for your own needs. Two options: Leesa offers two mattress options, a hybrid and a foam mattress. This gives you the opportunity to choose what you like in a mattress. White glove service: Leesa offers optional white glove delivery for a nominal fee. White glove delivery is not free: While some online mattress companies offer free white glove delivery, Leesa does not. Additionally, white glove delivery is not available in all markets, nor are they able to remove your old mattress in all markets. If this is a deciding factor for you, we recommend you contact Leesa in advance of your purchase to find out about your options. Leesa offers two types of mattresses: a foam mattress called the Leesa mattress and a hybrid mattress called the Sapira mattress. We’ll go over the key features of these options in our Leesa mattress review. The Leesa mattress is Leesa’s new, more affordable offering and has quickly become the company’s most popular mattress. It is a ten-inch, three-layer foam mattress that offers uniform pressure relief, body contouring and minimal motion transfer. Layer One: This is the comfort level, comprised of two inches of LSA200 foam. It is the cooling layer that hugs your body and prevents you from becoming overheated in your sleep. Layer Two: This is called the recovery layer. It is comprised of two inches of memory foam. The goal is to relieve pressure and further contour to your body. Layer Three: The third, base layer is the thickest. It is the support layer and is six inches of dense core foam that supports your body and the layers above. The Sapira mattress is Leesa mattress’s hybrid option. More expensive than the Leesa mattress, it differs from the Leesa in its construction and height. While the Leesa mattress is three layers and ten inches high, the Sapira mattress is five layers and eleven inches high. 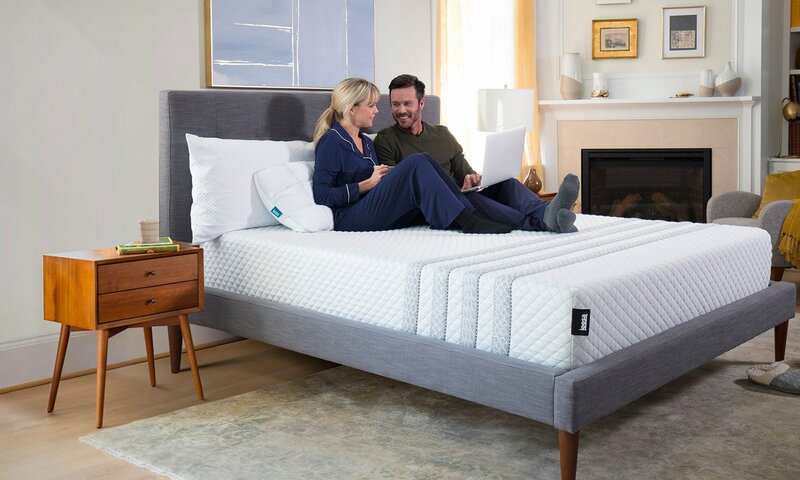 Leesa says that this mattress provides focused pressure relief, active body contouring, enhanced edge support and a core of 1,000 individually wrapped pocket springs. Layer One: This is the comfort level, comprised of 1.5 inches of Cooling Avena foam. It is the layer that hugs your body and keeps you cool while you sleep. Layer Two: This is called the recovery layer. It is comprised of 1.5 inches of memory foam. The goal is to relieve pressure and further contour to your body. Layer Three: The third layer is a one-inch core support base. It is one of the support layers. Layer Four: Layer four is where the coils come in and what makes this a hybrid mattress. This layer is comprised of six inches of quantum core pocket coil system (these are the 1,000 individually wrapped pocket springs). Layer Five: This last layer is the base, and it is a one-inch core support foam base. Leesa mattresses offer one level of support, which is described as “medium firm,” and rates a five on the firmness scale. 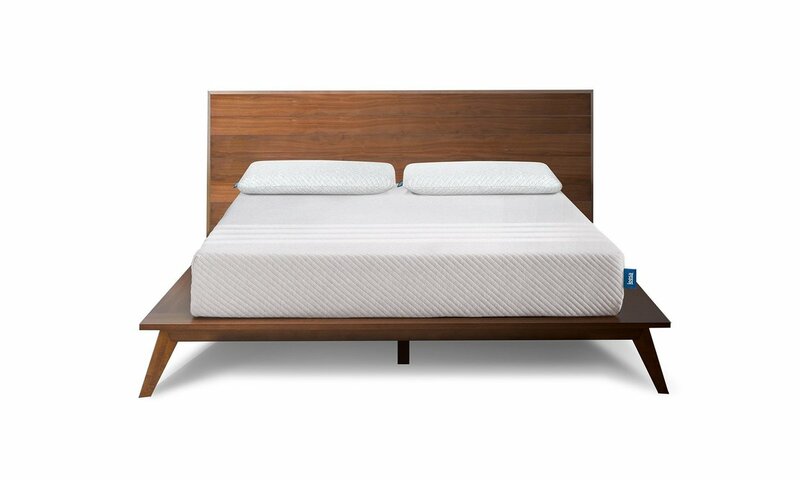 The Leesa is 10 inches high and the Sapira mattress is 11 inches high. Both come in six sizes. Twin Mattress: Leesa’s smallest mattress, the twin, measures 38 in. x 75 in. x 10 in. and is 75 lbs. Twin XL Mattress: Leesa’s twin XL is slightly longer than the classic twin and measures 38 in. x 80 in. x 11 in. and is 80 lbs. Full Mattress: Leesa’s full mattress measures 53 in. x 75 in. x 10 in. or 11 in. and is 96 lbs. Queen Mattress: Leesa’s queen measures 60 in. x 80 in. x 10 in. or 11 in. and is 115 lbs. 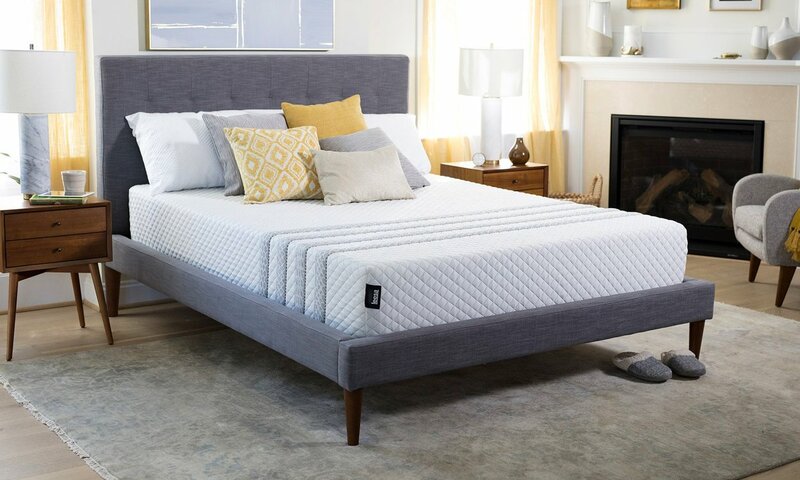 King Mattress: Leesa’s king mattress measures 76 in. x 80 in. x 10 in. or 11 in. and is 142 lbs. California King Mattress: The largest of Leesa’s mattresses is the California king, which measures 72 in. x 84 in. x 10 in. or 11 in. and is 142 lbs. Leesa beds are manufactured to order, and delivery times vary based on your location and the mattress you select. Therefore, individual Leesa mattress reviews may not give you an accurate picture of your specific delivery times. Once an order is placed, the company estimates 1-5 business days to build and compress a Sapira mattress and 2-3 business days to build and compress a Leesa mattress. Once the mattress is built, it will be boxed and shipped via UPS. It estimates 1-3 days for UPS transit time depending on where you are located. Once the mattress ships, Leesa will send you tracking information. Unbox your mattress on its side so it goes on to the floor. Position the rolled up mattress on a solid foundation and remove the outer layer of plastic wrap. The mattress will begin to expand. Unwrap the mattress and remove the inner plastic. Start at the top. The mattress will expand and take shape. Note it may take an hour for the mattress to fully expand and a few days before it is fully firm. You may notice a slight odor once you unwrap it, but this will go away. Like most boxed mattress companies, Leesa offers white glove service. White glove delivery is an optional in-home delivery service available for a small cost. If you select this option, a 2-person Leesa team will deliver your purchases to your home. They will then carry your new Leesa purchases to your desired room of set up. The delivery team will set up your new mattress and dispose of all packaging should you desire. If you have an old mattress or box spring that you wish to dispose of as well, Leesa’s white glove service team will take care of it. It is important to note that white glove delivery is not available in all locations and the service is non-refundable. For questions about what is available in your area, please contact Leesa directly. If you’d prefer to use a financing option rather than put the full charge on your credit card, Leesa has partnered with financing company Affirm. Affirm allows you to spread your payment out over months (or even years) with low APR offers between 0-30%. Rates start as low as $29.17 a month based on a purchase price of $525.00 at 0% APR for 18 months. Mattresses are a big investment, so it’s nice to have the option to pay it off in installments. Many Leesa mattress reviews talk about how this option makes purchasing a mattress easier and more convenient. Leesa offers a 10-year full replacement limited warranty. This means that for 10 years, Leesa will replace or repair your mattress when it has a defect covered under the warranty. This warranty does not have a deductible. To read more about what is and is not covered under this warranty, read the details on their website. You’ll still need to clean your mattress as you normally would, but you won’t have to worry about big repair problems. Leesa knows that mattresses are a big investment, and they want you to be happy. While you’ll get an idea of the mattress by reading about it and perhaps even trying it in a West Elm store, you’ll never really know if you like it until you try it overnight. Thus, Leesa has a generous return policy. You have 100 days from the date of your delivery to sleep on your mattress. This allows you time to form your own opinion after reading Leesa mattress reviews to make sure this is the right option for you. After our Leesa mattress review, we feel that this is an excellent option for many people. 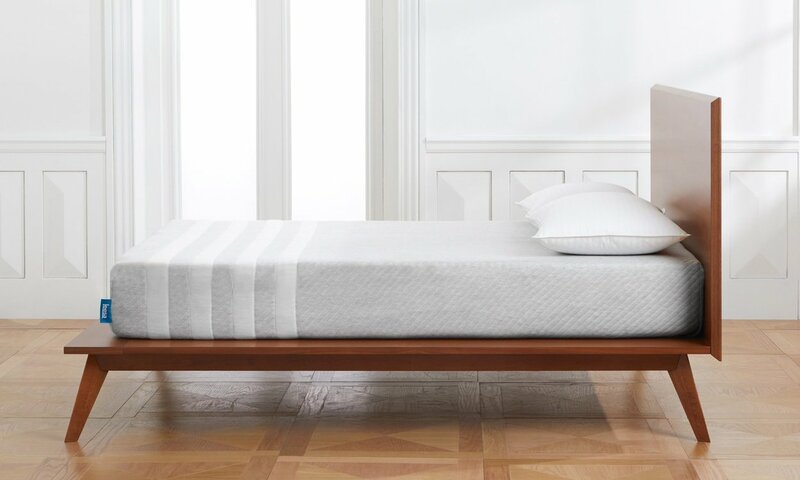 If you are wary of purchasing a mattress online without being able to test it out in person first, then Leesa is a good choice for you thanks to its partnership with West Elm. However, if you are looking for a company that will come and set up in the mattress for you and dispose of your old one, you’ll need to contact Leesa first to ensure this is a service they provide in your area. Overall, Leesa mattresses are high-quality and comfortable mattresses. They are similar to other foam and hybrid mattresses on our list in terms of comfort and quality and have similar warranties and sleep trials as well. In addition to its West Elm partnership, Leesa differentiates itself with its charitable partnerships. Thus, if you are looking for an American-made, feel good mattress company that offers high-quality mattresses backed by strong warranties, we highly recommend Leesa. Have you tried the Leesa mattress? If so, leave your own Leesa mattress review below! The white glove delivery process, however, was unacceptable. The delivery men didn't know how to assemble the platform, which then turned out to be defective. When I asked Leesa to help me reschedule the white-glove delivery of a new platform, they redelivered the same broken product - without notifying me - to my apartment without delivery men. It sat for nearly a week in my apartment lobby while I was out of town on a work trip.